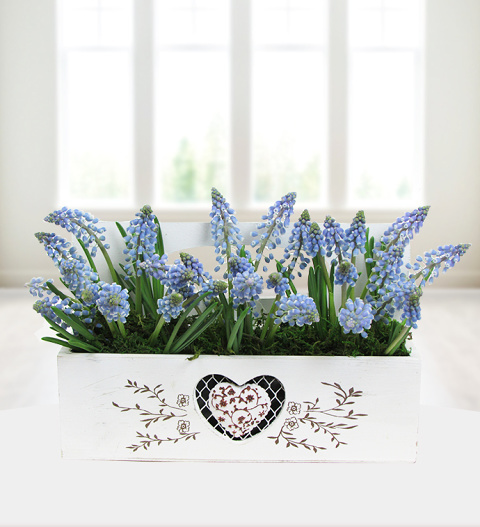 Our gorgeous 'Love Mum' Muscari is perfect for Mum this Mother's Day and is easy to look after! Presented in a love heart contemporary wooden tray, each comes with a FREE box of Belgian Chocolates. Our Mediterranean Muscari is new to Prestige Flowers and available for UK next day delivery. Chocolates may contain nuts.